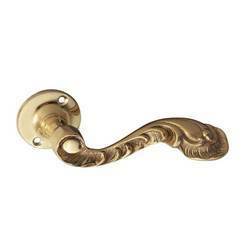 Door handles are considered by many people to be much more practical than alternative door knobs. 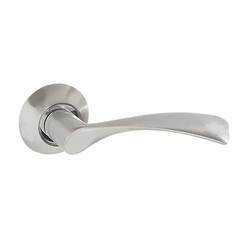 Door handles on rose are stylish, functional and with the incredible variety of designs that we offer at Manish International, are often just the thing to completely tie a room together. 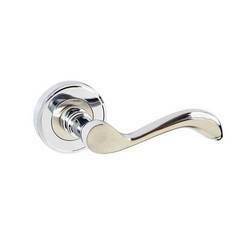 Outfitted with a modern infrastructure, we are the most prominent manufacturer, exporter and supplier of a wide array of Lever on Rose. These products are manufactured using optimum quality raw material and advanced technology. In tune with different requirements of our copious clients, we customize the entire range in various sizes and shapes. Our offered range has gained exceptional value amongst our clients for its defined features. Finish Code: CP, BN, BP, GOLD, SS, T.T. 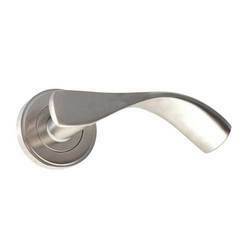 We have marked a distinct and dynamic position in the market by providing a high quality array of Zinc Lever Handle on Rose. 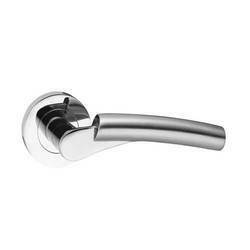 Our offered range is availed in a variety of sizes, dimensions and other such specifications to choose from. The offered range is precisely designed at our highly advanced manufacturing unit following industry defined guidelines. 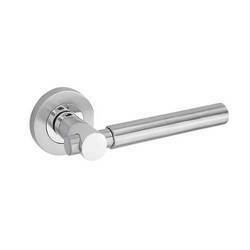 The offered range can also be availed from us at the industry leading prices. By keeping track with the market development, we are offering optimum quality Lever on Rose. 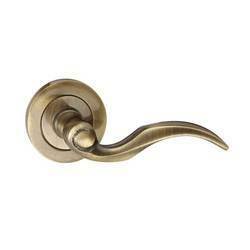 Our offered range is widely appreciated by our prestigious clients for their precise design and durability. The offered range can also be availed in various sizes, designs and other related specifications. Our provided products are manufactured by a team of our adept professionals utilizing quality approved raw material and advanced technology. 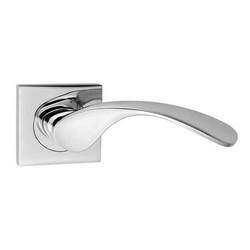 With years of experience in this domain, we manufacture, export and supply a precision-designed range of Lever Handles on Rose. 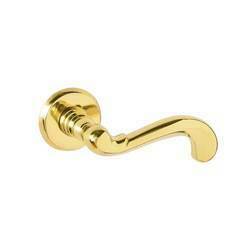 These product are manufactured from using superior quality raw material and advanced technology. While manufacturing the offered range of products, we lay special emphasis on the overall quality and durability. Additionally, our quality controllers keep an eye on the entire range to avoid any possibility of flaw. Finish Code: CP, SN, AN, GOLD, BN, P.B. 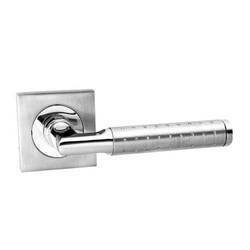 Backed by a diligent team of professionals, we have been able to manufacture, export and supply an excellent range of Lever on Rose. We manufacture these products by making use of high-grade raw material and high-end technology so as to maintain the set industry standards. To make a flawless dispatch from our end, our offered range is rigorously inspected by our quality inspectors against various parameters. These products are broadly acknowledged by our clients for their durability and sturdiness. 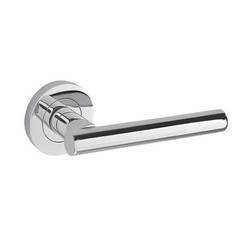 To keep the client satisfied, we manufacture, export and supply high quality Salina Lever on Round Rose. Being a quality-oriented organization, we assure our clients that these products are the best in quality. Our skilled professionals only utilize fine quality raw material, while manufacturing the entire range. Moreover, our offered range can be availed in a wide range of sizes and shapes, as per the requirements of our esteemed clients. Finish Code: CP, BN, BP, GOLD, SS, P.B. Finish Code: CP, BN, SN, GOLD, P.B. 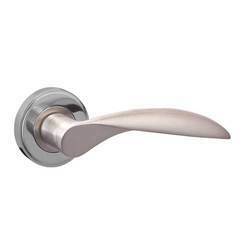 As per the variegated requirements of our clients, we are offering a broad collection of Lever Handles On Rose. These products are manufactured using excellent quality raw material and latest technology by our skilled professionals. In order to ensure quality, these products are stringently tested on various parameters by our experts. Apart from this, remarkable quality and sturdy structure increase the demand of our offered range in the market. 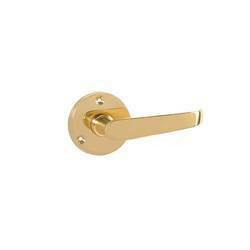 We are an acclaimed name engaged in offering our precious clients a superior quality range of Lever On Rose. These products are manufactured using optimum grade raw material and sophisticated technology in synchronization with international standards. In order to ensure quality, the entire range is rigorously tested on various parameters by our quality controllers. Keeping in mind the diverse requirements of our clients, we provide entire range in various sizes and specifications and at affordable prices. Finish Code: CP, AN, SN, BN, GOLD, P.B.